I am trying to split the background colour of the Feynamn diagram below into 2 different colours with (for example) red in the top half and green in the bottom half. 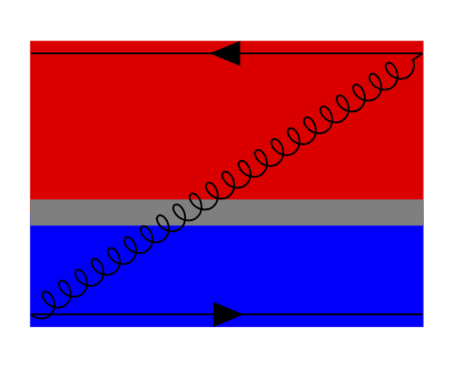 Note that both horizontal lines in the diagram are connected to each other (the gluon line) and therefore, it should remain with a single tikz picture. Not the answer you're looking for? 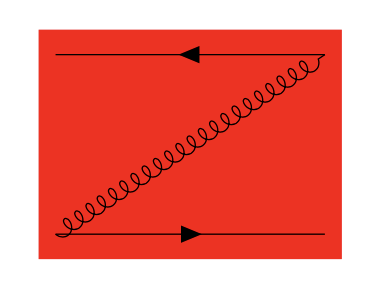 Browse other questions tagged tikz-styles tikz-feynman or ask your own question.